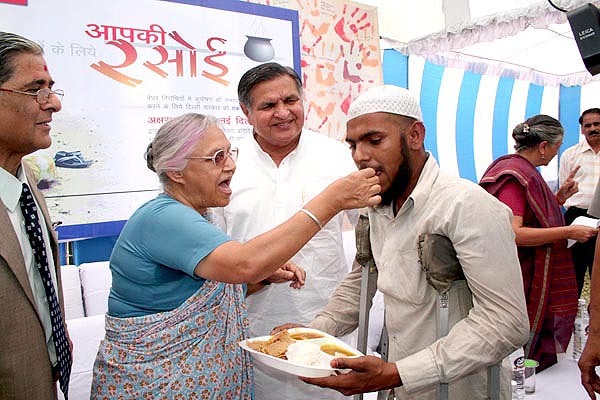 Swaminarayan Akshardham Mandir, New Delhi, in association with the Delhi Government launched ‘AAP KI RASOI’, a campaign to make Delhi Hunger Free, on 16 April 2008 at the Nizamuddin Night Shelter.The campaign was inaugurated by Smt. Sheila Dikshit, Chief Minister of Delhi. 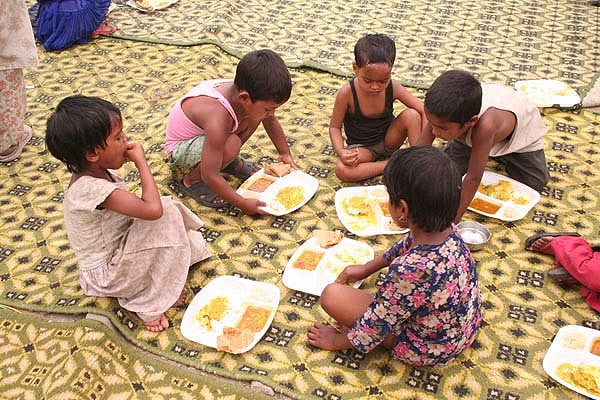 As there is a big number of destitute who find it extremely difficult to earn even one single meal a day, the Government of Delhi has requested NGOs and corporate houses to provide meals to these people once a day in the afternoon. Nutritious freshly cooked food will be served once a day to about 600 needy people, mainly women and children. The BAPS Swaminarayan Akshardham Mandir is the first to start the programme in association with the Delhi Government. The Chief Minister Smt. Sheila Dikshit personally inspected and distributed lunch to many people. Dr. Yoganand Shashtri, Minister of Health, Family Welfare and Social Welfare (Delhi Government) and area Councilor were also present at the launch.